The Lockheed S-3 Viking was a four-seat jet aircraft was originally used by the U.S. navy to find submarines. Later it became used for surface warfare, aerial refueling and surveillance capabilities. Due to the twin-engines’ low-pitched sound, it was known as the “Hoover” after the vacuum cleaner. 1970: Boeing 747 took 1st commercial flight from New York to London. The Boeing 747 is the first wide-body commercial airliner and cargo transport aircraft produced. Its original nickname is Jumbo Jet and is also known as the Queen of the Skies. 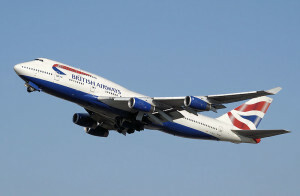 The 747 was expected to become obsolete because the company thought the supersonic airliners would take away the demand. However, the Boeing 747 exceeded critics’ expectations and in December of 2013, 1,482 had been produced and 55 orders still remained. The English Electric Canberra is a 1950’s manufactured first-generation jet-powered light bomber. It could fly higher than the other bombers in the 1950s and set the world altitude record of 70,310 feet in 1957. There is a U.S. built variant called the Martin B-57 Canberra. The English Electric Canberra was retired 57 years after its first flight by the Royal Air Force and two of the Martin B-57 variant remain in service with NASA doing performing meteorological work and more.